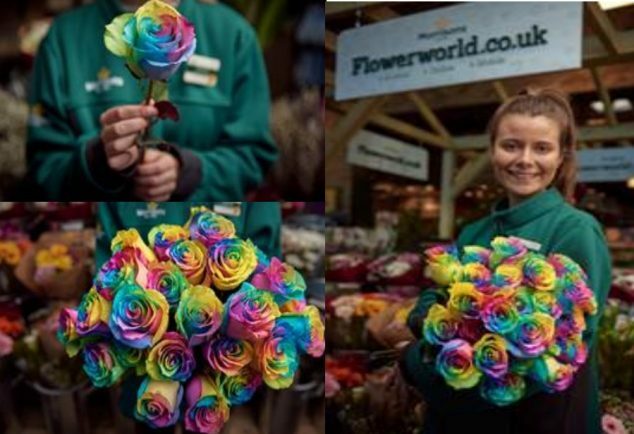 THIS Valentine’s Day Morrisons in Bromsgrove and Rubery is spreading the love by launching the Rainbow Rose, writes Eve Watson. Developed by Morrisons’ florists, the roses have been specially dyed so that each petal is a different colour of the rainbow. The supermarket has teamed up with the LGBTQ+ youth homeless charity The Albert Kennedy Trust, with 50p from each rose going to the cause. The charity provides safe homes and support to young people who identify as being lesbian, bisexual, gay, or transgender. Carrie Reiners, Director of Fundraising from The Albert Kennedy Trust charity said the organisation was delighted to be linking up with Morrisons for the venture. The Rainbow Rose is part of Morrisons’ The Best range, and are now available in the Morrisons store in St Andrews Shopping Centre. For those wanting the more conventional roses, red ones will also be available.